guys I'm seriously thinking of modifying my GLs interior from wood + silver to cf + silver. what do you guys think? look at the interior of the bmw!! ganda noh? although beige kasi ang sa GL natin at hindi black kaya di rin ako sure na babagay. pero sticker lang naman so kung panget pwedeng tanggalin. btw, midlevel yung GL ko meaning no wood on steering wheel and the on shift knob/lever (silver). And kung sakali ang mga wood trims na magiging cf ay yung sa center console and doors lang naman. so sana hindi mahal. pero shempre to each his own. well if it's not too costly, why not? it will add character/identity to your car Sir. Just make sure that if u decide to take it of eh ma rerestore pa din yung original looks nya. Besides our GL interior is biege and gray in color kaya sa tigin ko eh pwede naman Sir. sakin sir, mas gusto ko yung added elegance nung wood trims and beige color for our GLs. but thanks for the post! might consider this for my mazda3. ser kung gusto mo idarken pwede yun vinyl spray paint. eggy_reyes wrote: guys I'm seriously thinking of modifying my GLs interior from wood + silver to cf + silver. what do you guys think? Ok lang basta leave it to professionals in the installation. I did the same thing in my old sentra and it was just frustrating for me. Mahirap makuha yung mga curves and it was not a snug fit at all. called-up A-toy...its always a package- exterior/interior..
Pwede kaya sya ilagay dun sa hard plastic cover sa base ng front wipers? meron kasing airvent dun. Maganda din sya ilagay sa black hard plastic mounting ng side mirrors, Madali kasing mag fade tong mga plastic parts na to. 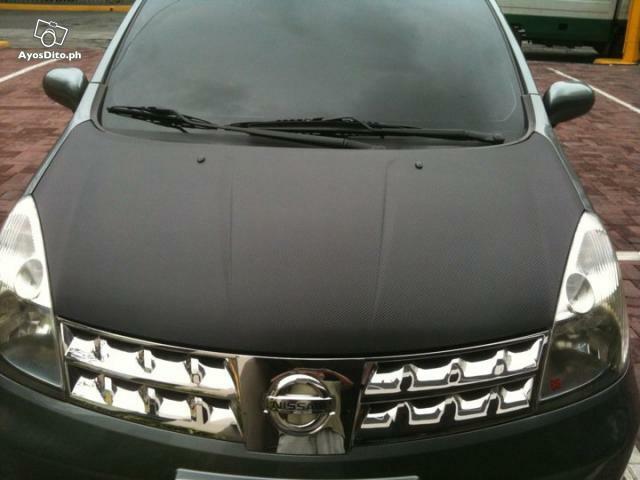 chualie wrote: Pwede kaya sya ilagay dun sa hard plastic cover sa base ng front wipers? meron kasing airvent dun. Maganda din sya ilagay sa black hard plastic mounting ng side mirrors, Madali kasing mag fade tong mga plastic parts na to. Sir I think sakto sa plastic mounting ng side mirrors. - pwede naman daw hindi package, depende sa gusto nung nagpapakabit..
How much kaya ang range ng labor nila Sir? @dbanker, Noted sir, thank you for the info. Steel gray livina in carbon fiber finish hood. aln, ako parang ok sakin kung yung buong sasakyan ang lalagyan. hehehe!!! but seriously, i might consider having the hood done like that if my unit is black. hmmm, ano kaya itsura sa mazda3 kong black . . . ?